But it sort of stinks when it happens to you. Every spring I check in with all my plants. It doesn’t take but a minute: Dead or alive? Sometimes it takes some time so this is a question asked frequently. Sometimes all that remains is an empty spot in the garden where I could swear a plant used to be. It seems like it was a rough winter in my garden. I’m surprised by this because it wasn’t particularly cold save for a week here or there, and there wasn’t a lot of snow. The latter may be the issue as snow offers a nice layer of insulation for plants. But a bunch of snow piled on top of a plant can be an issue too. Since I’m dealing with this in my own garden right now, here’s a few things to do when you think you might have to call in the plant coroner. This should be a clematis (‘Pamela’) but so far it’s just leftover stems. I am concerned but not greatly so. This plant has been a stalwart in my garden and a great performer and I can’t think of why it may have failed. There’s nothing to do about it other than sit tight and have faith. I have to remind myself of this all the time because the second I see a plant that might be dead, my first inclination is to dig out its remains and rid my garden and myself of the reminder of what was. Don’t! If it’s early in the season, there’s still chance it may spring to life. It doesn’t hurt anything to leave the plant in the ground for the time. I usually use this time to make some decisions about whether it needs to be replaced and with what. If I think a plant might have bit the dust, the first thing I do is really inspect it, looking for bits of green at the crown. I’ll also look at other plants of the same variety to compare them too. The Nepeta I have planted along the path is looking terrible this year, and I have no idea why. At first I thought it was just slow to emerge, but when I looked closer I saw one very healthy plant with about 4 inches of growth, a couple with tiny sprouts and many with nothing. If the plant in question is a woody shrub, you can scrape your fingernail on a branch and if you see green there’s life left. 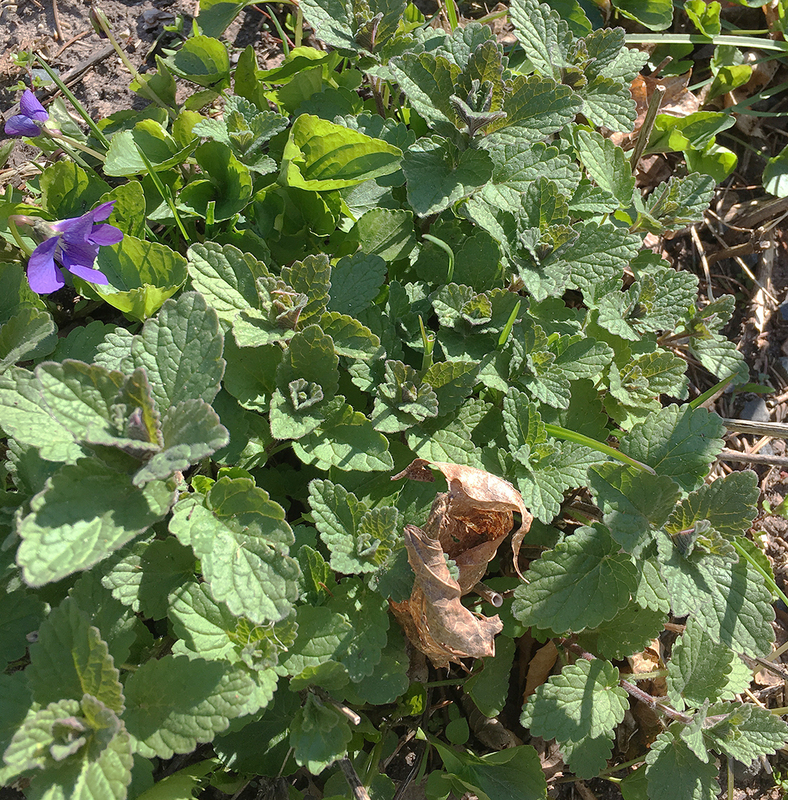 One of the Nepetas on the path is looking nice, with lots of fresh foliage (and some woodland violets—grrr—to boot). But the plant right next to it, below, is DOA. I should at least be seeing some signs of life on it if the same plant growing next to it has this much growth. All I see there is baby weeds that need to be dealt with. OK, there is a chance your plant is dead. Keeping in mind tip No. 1, don’t do anything drastic yet, but start thinking about what the backup plan is in case it is indeed DOA. That might meant replacing it with the same thing, which isn’t a bad idea. Unless you suspect that the plant died because of a cultural problem—stressed from growing in too much shade or too much sun, or sitting in soggy soil or being grown in the wrong zone—in which case you’re better off picking something more appropriate for that spot. Or not. Because maybe you were just hedging your bets on the condition requirements a little bit but you really love the plant. Sometimes it’s worth giving a plant a second try. And of course, you may decide to go in a different direction all together. I have planted—and dug up when it died—lavender at least three times. A few years ago I discovered a variety called ‘Phenomenal’ and heavily amended the soil to provide great drainage (lavender wants poor soil with sharp drainage). And it has been beautiful. So much so that I bought more plants. Guess what I’m pretty sure bit the dust this winter? Yep … all of them. But I love them, so there’s a good chance I’ll be replanting them, because I love that plant. 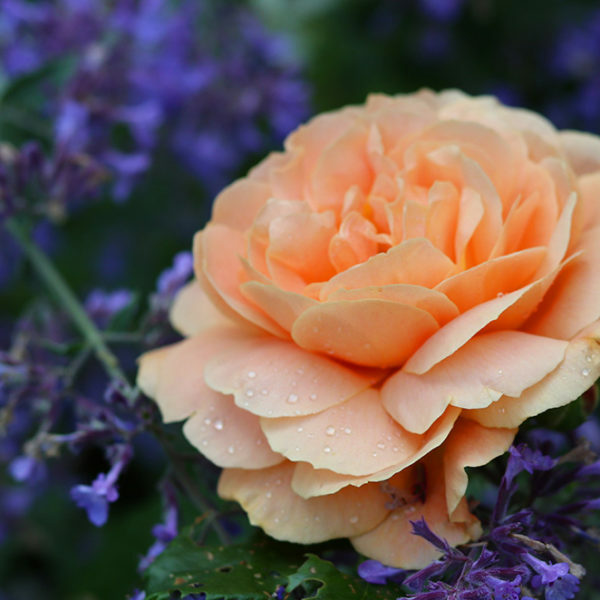 A plant may or may not have died in your garden. Big deal. Shake it off. It doesn’t mean you’re a bad gardener or have a brown thumb. Plants die. They die from old age, because they were a deer snack, because winter was cold, or not cold, or summer was too hot, or they were too wet, or too dry or because the soil was wrong. Instead of thinking about the plant that just died, think about how many plants are thriving and make up your beautiful garden. Do you know how many plants have died under my care since I first planted something on my own the year I graduated from college? It has to be in the hundreds. Many have been no great loss. Some have really hurt. No surprise, I find the level of hurt involved in losing a plant is directly related to the price tag on it. There is one great part about a plant death: New plants. Longtime readers will know I have a serious clematis addiction, so the fact that there are several clematis in my garden that are being very slow to show their faces this spring is more than a little disturbing to me. 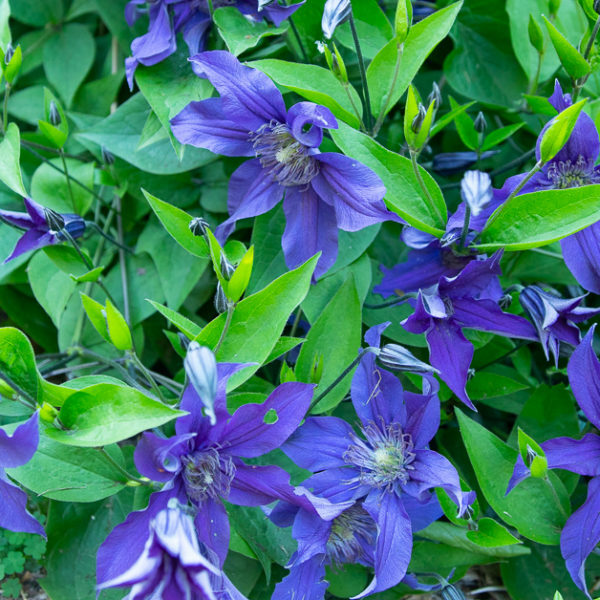 And, even though I swore there would be no more clematis this year, I have ordered five that will be replacements if plants don’t pop up, or they will find a different home if everything does come up, which I sincerely hope happens. There are worse things in the world for a gardener to face than having to buy some new plants (or to have a few spares to find homes for). 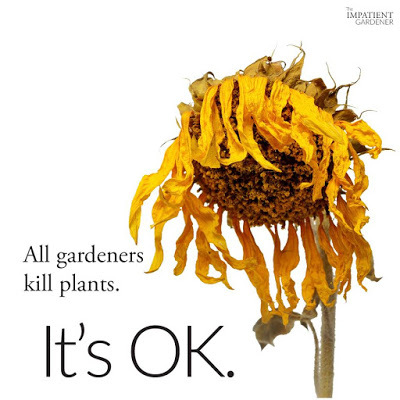 So take heart: Plant death happens, and yet gardening life goes on. previous post: ORC WEEK 5: MORE TIME, PLEASE! We must all remember not to blame ourselves for the vagaries of weather, insects or a plant coming to the end of it's life. I forgot all about insect damage! Yes indeed … sometimes it's just out of our control. We used to jokingly give ourselves til the 4th of July to decide for sure is something was dead. Currently watching two deciduous shrubs that don't look good. That's actually a really good rule of thumb! Dead plants provide a new opportunity. Enjoy that. Absolutely! That's the best part. It's just a part of life. We just move on! I really enjoy your blog, and I love this. I don't keep 'inside' plants, because I kill them all the time, but I'm pretty successful outside in my gardens. So when someone bites the dust out there, I take it personally. I have planted at least a half dozen Sweet Autumn clematis — they keep dying, but I love them so much I keep trying. I'm sure my MN winters have a lot to do with it. And my ornamental grasses are all notoriously late to appear. 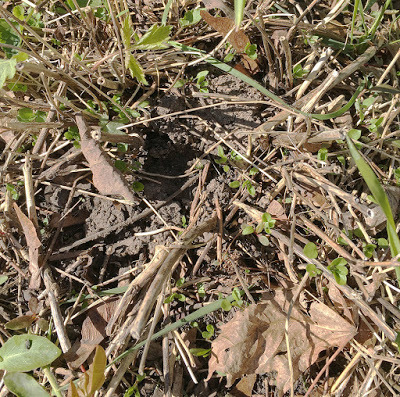 Many times I catch myself standing over a clump muttering, "Come on, you can do it" while I'm patrolling my yard. Thank you so much for your nice comment, Nancy. Winters, and particularly those that you experience in Minnesota, can be more than a little difficult. I'm certain I've encouraged more than one plant to just LIVE before as well. I really enjoyed this post. I have been going out daily to see what survived and what didn't. Can you believe that none of my miniature daffodils made it? And why? We had so much snow, the bulbs rotted out! Don't do anything to that clematis. We had one that did not come up in the spring… then in October of all times, it came up. The next spring it was fine! The little saxifrage that has survived for 20 years without blooming is about to bloom this year. The hepaticas were so splendid. It is always a thrill to see that the blood root has decided to send up a couple of more blooms. I planted 22 Itoh peonies that I bought on sale two years ago. They are all sprouting. Maybe this year there will be blossoms! Again, loved the blog. I'm a new reader. Thanks so much of your nice comments and I'm happy you're here! That's a lot of snow to rot out daffs, but I don't doubt it one bit. Oh my, 22 peonies! Whether it's this year or next, that is going to be a stunning show. Again, thanks for stopping by! 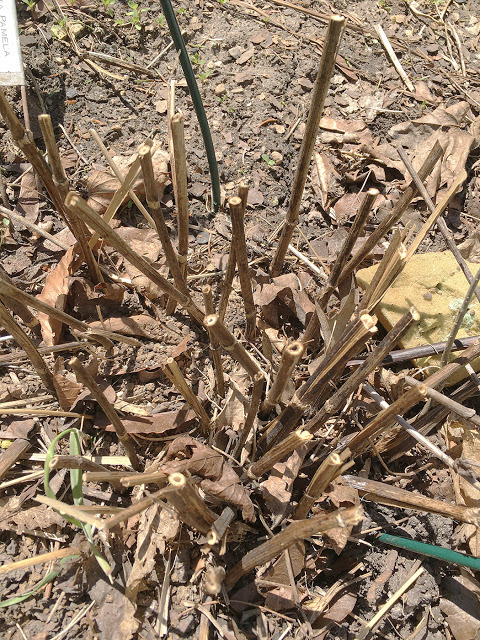 It can be discouraging to lose plants…thanks for the reminder that I'm not the only one this happens to. I lost several plants that have me baffled. Last year I planted 3 brunneras. They looked great going into the fall. We had good snow cover for a long time, but it was extremely cold for a long period also. Two of them died, and one is doing great. I hate not knowing why I lost them as I can't correct the problem if it is something I have control over. I had a clematis that was starting to put out leaves when we got down to 19 degrees a couple weeks ago. Now I have to wait to see if it will give it a go again. I did the same thing you did. I ordered a new variety just in case. (The Gurensey Cream that you love as a matter of fact). My sister in Greeley, Co just got 4-5 inches of hail yesterday. 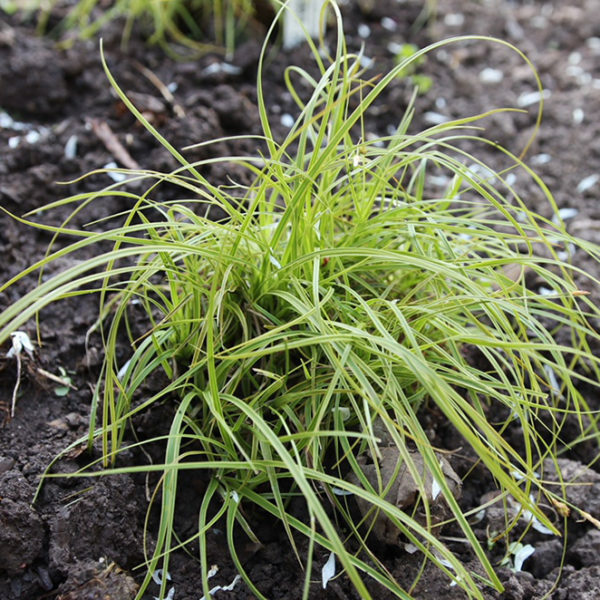 It could be an interesting spring for gardeners! I think I lost all of my heuchera over the winter. I have cut it way back and now I’ll have to sit and wait. It’s so disappointing thiugh. Heucheras are tough. They are very suseptible to frost heaves, which is obviously tough on them (although you can just pop them back in the ground). I’m not seeing any signs of many of mine either but it’s still early days here. Last Fall I planted a Weeping Purple Fountain Beech as a memorial to my daughter who I lost to brain cancer last August. I choose that because it was the centerpiece of Roswell Cancer Center, and I passed by it every day when I went to visit her. I am pretty sure it made it through our WNY winter, but I can’t help worrying. I’m so sorry about the loss of your daughter. I don’t blame you for worrying about that beautiful beech; that’s part of the problem with memorial plants. They are wonderful living reminders of loved ones, but there is added pressure to make sure they thrive. With trees you can sort of sneak a peek on their survival but scraping your thumbnail over a branch and seeing if there is green under that very top layer. I will be crossing my fingers for your beech.